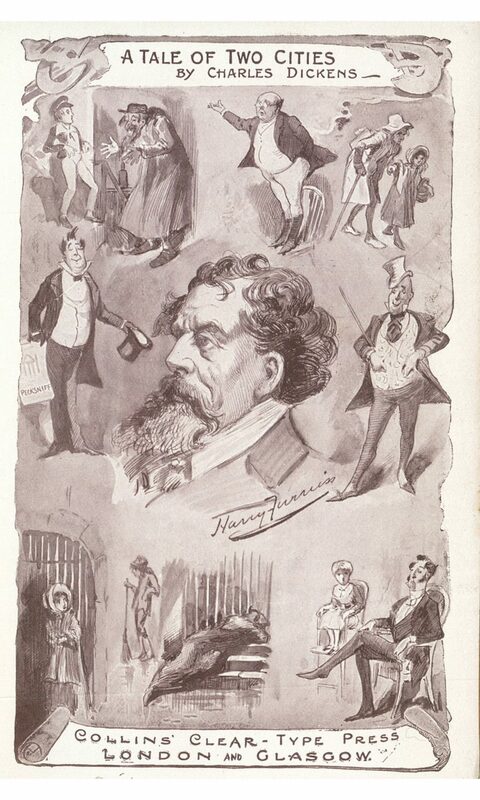 An illustration from the Collins Illustrated Pocket Classics edition of A Tale of Two Cities by Charles Dickens. 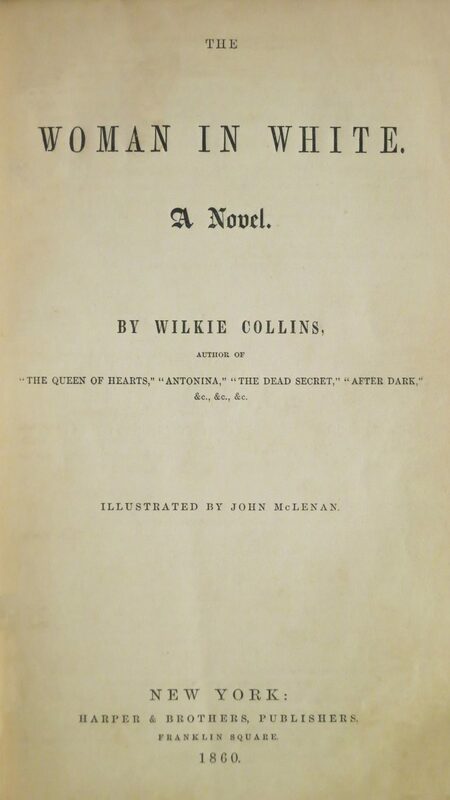 At the turn of the century, William Collins III combined innovative packaging and distribution with innovative aesthetics by creating shilling-priced illustrated classics. 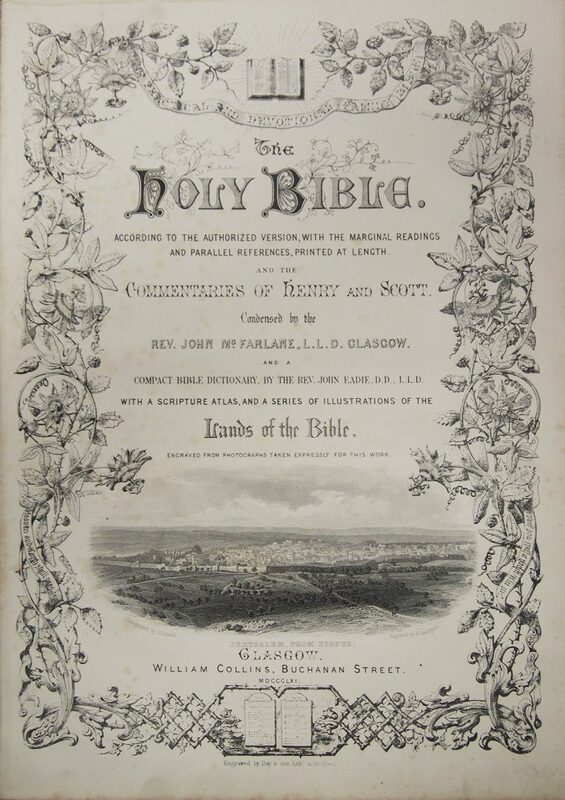 Other publishers had issued shilling “libraries,” but none had been illustrated. 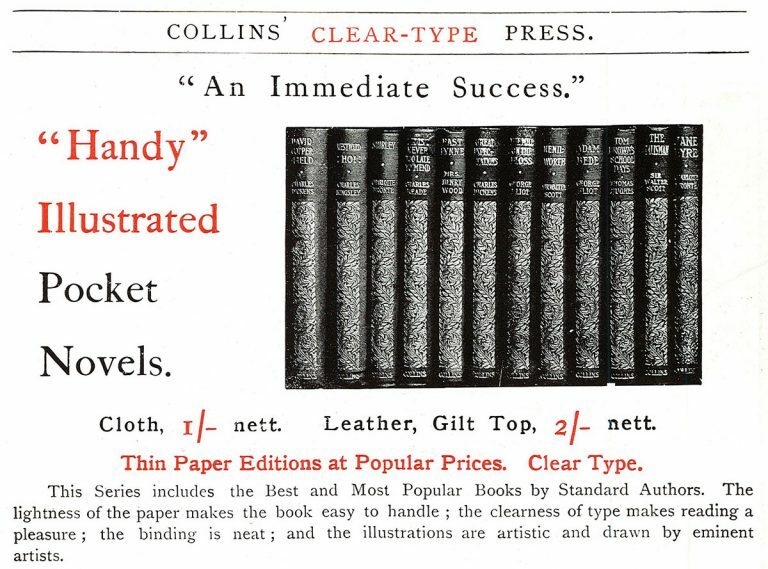 Collins Illustrated Pocket Classics (beginning in 1903) were small and inexpensive but remarkably beautiful. The maroon cloth-bound David Copperfield featured 16 illustrations and “a full gold back.” An evolving lineup of authors and illustrators helped keep this unique format fresh. 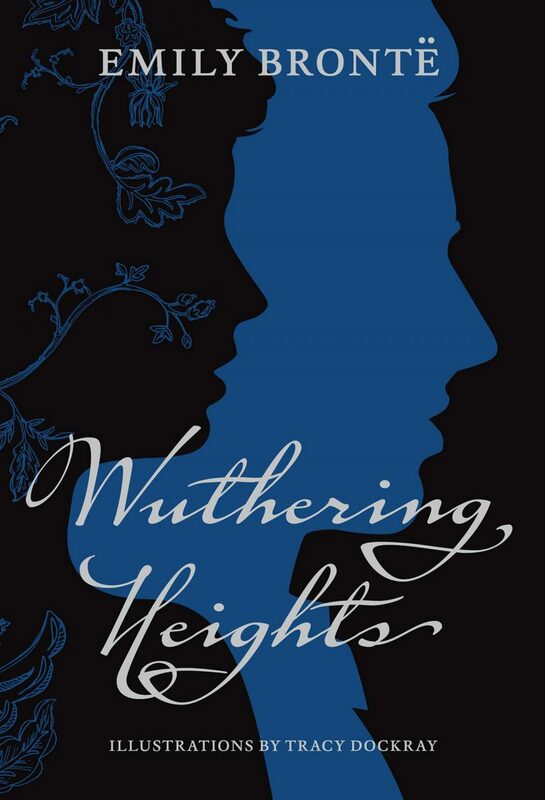 Aside from the perennial favorite Dickens, the first ten titles included Sir Walter Scott’s Kenilworth, George Eliot’s Adam Bede, and Charlotte Brontë’s Shirley. By 1934, there were 320 titles, and by 1936, they included new multicolored bindings with cover designs by artist Eric Gill. Between 1903 and 1948, the series sold more than 25 million copies throughout Europe and North America.